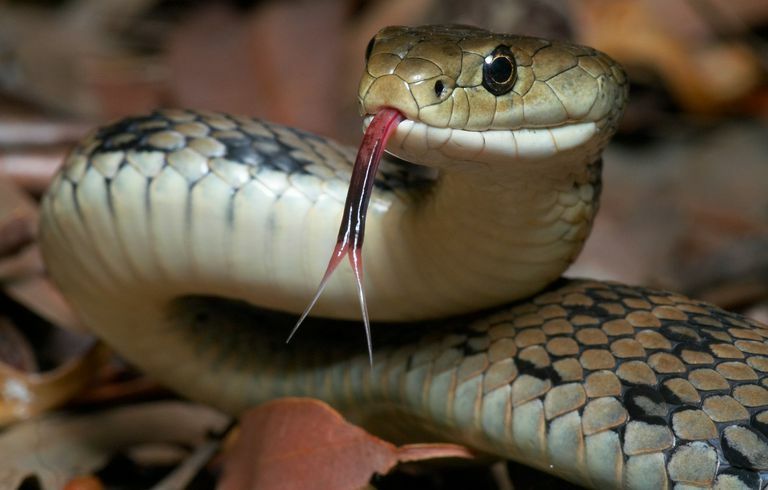 How and Why Did a Snake Have the Ability to Talk? According to Genesis, the first book of the Bible, God punished the snake for successfully convincing Eve to eat fruit from the Tree of Knowledge of Good and Evil. But what was the snake's real crime? The snake convinced Eve to eat the forbidden fruit by telling her that her eyes would be opened, which is exactly what happened. In effect, then, God punished the snake for telling Eve the truth. Is that just or moral? Genesis 3:2-4: And the woman said unto the serpent, We may eat of the fruit of the trees of the garden: But of the fruit of the tree which is in the midst of the garden, God hath said, Ye shall not eat of it, neither shall ye touch it, lest ye die. Upon eating the fruit, what happened? Did they both drop dead? No, the Bible is quite explicit that what happened was exactly what the snake said would happen: their eyes were opened. Genesis 3:6-7: And when the woman saw that the tree was good for food, and that it was pleasant to the eyes, and a tree to be desired to make one wise, she took of the fruit thereof, and did eat, and gave also unto her husband with her; and he did eat. And the eyes of them both were opened, and they knew that they were naked; and they sewed fig leaves together, and made themselves aprons. Genesis 3:14-15: And the LORD God said unto the serpent, Because thou hast done this, thou art cursed above all cattle, and above every beast of the field; upon thy belly shalt thou go, and dust shalt thou eat all the days of thy life: And I will put enmity between thee and the woman, and between thy seed and her seed; it shall bruise thy head, and thou shalt bruise his heel. This sounds like a pretty serious punishment — it's certainly no slap on the wrist (not that a snake has a wrist to slap). In fact, the snake is the first to be punished by God, not Adam or Eve. In the end, though, it's hard to tell what the snake did that was wrong at all, much less so wrong that to merits such a punishment. At no point does God instruct the snake not to promote eating fruit from the Tree of Knowledge of Good and Evil. Thus the snake was certainly not disobeying any orders. What's more, it's not clear that the snake knew good from evil — and if he didn't, then there's no way he could have comprehended that there was anything wrong with tempting Eve. Given that God made the tree so appealing and put it in a prominent place, the snake wasn't doing anything that God didn't already do — the snake was just explicit about it. OK, so the snake is guilty of not being subtle, but is that a crime? It also isn't the case that the snake lied; if anything, God lied. The snake was correct and truthful that eating the fruit would open their eyes and that's what happened. It's true that they died eventually, but there is no indication that that wouldn't have happened anyway. Was It Just or Moral to Punish the Snake for Telling the Truth? What do you think? Do you agree that there is something unjust and immoral about punishing the snake who only told the truth and didn't disobey any instructions? Or do you think that it was right, just, and moral for God to impose such a punishment on the snake? If so, your solution cannot add anything new that's not already in the biblical text and cannot leave out any details that the Bible provides.